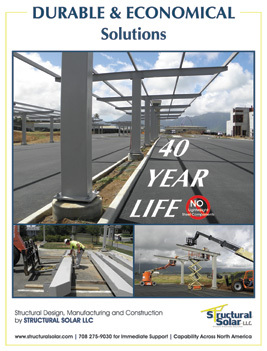 Structural Solar LLC designs and builds specialty structures that are functional for the intended purpose, durable for decades, aesthetically pleasing and most of all, economical. It’s not complicated. We do it every day, we do it correctly, we do it on time and within budget. We provide and install specialty structures for specialty applications. Some of these structures include solar carports and charging stations, solar pavilions, solar canopies, solar ground mounts, and specialty solar structures. If we can’t provide exceptional value, we won’t suggest otherwise and waste your time or resources. Otherwise, you will find that we freely share information, provide quality and responsive deliverables and seamlessly develop concepts into functional structures. We cover the US including Hawaii and our unique business model and subcontractor relationships allow us to mobilize quickly and economically. We invite you to inquire about our products and services. 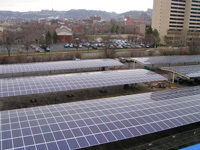 We design and install state-of-the-art solar carports and vehicle charging stations for your site. Make your business stand out with a highly customizeable and brandable solar pavilion! Make a statement about renewable energy with our highly architectural, attractive and water proof solar structures that are uniquely suited for universities and other institutions. Nothing says your business cares about the environment like adding a solar parking canopy to your location. Our solar ground mount installation services range from pile driving only to fully panelized solar array structures. 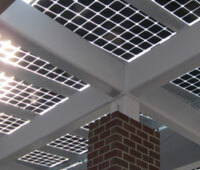 We offer a large variety of unique, custom-designed solar solutions for any type of specialty solar structure in mind.